Did you know that Bin There Dump That now has an app? You can download the app on either your Android or Apple SmartPhone. 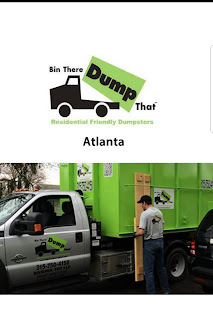 For contractors who are on the go and don't have time to make a call every time they need a dumpster, it makes things a little less difficult. 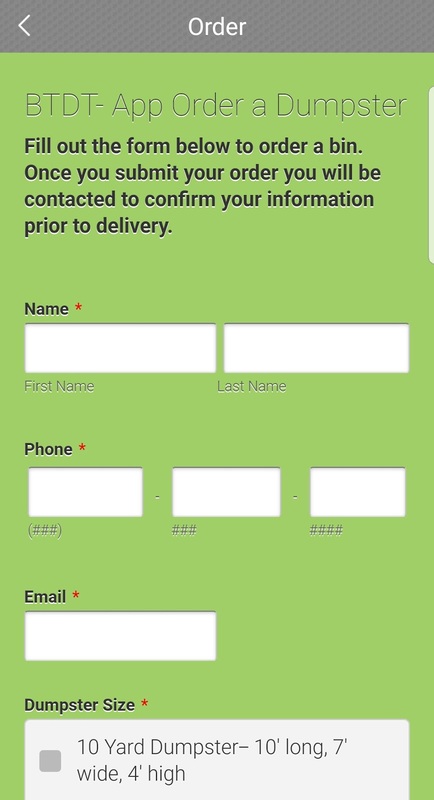 Just plug in your name and the job site address and you will receive a confirmation text from the office once the order has been placed! It's that simple! Click HERE for the link for Apple phones. Click HERE for the link for Android phones. 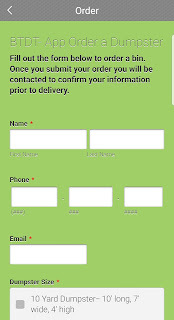 To view our website click HERE. Be sure to use Bin There Dump That for all your dumpster needs!